Actually I read this a while ago; I realize I’ve never turned it into a slide, until now. I’m using it to illustrate an artifact of physician culture, part of a keynote I’m preparing (Crowdsource Request: Keynote for Labor-Management Parntership all-hands – “Social innovation” | Ted Eytan, MD). We tend to interrupt people. On average about 23 seconds into them telling us why they are here to see us. Good news is that it improved 5 seconds in between the 15 years it was studied (1984 and 1999). I can’t find a newer study, if anyone knows of one, let me know. 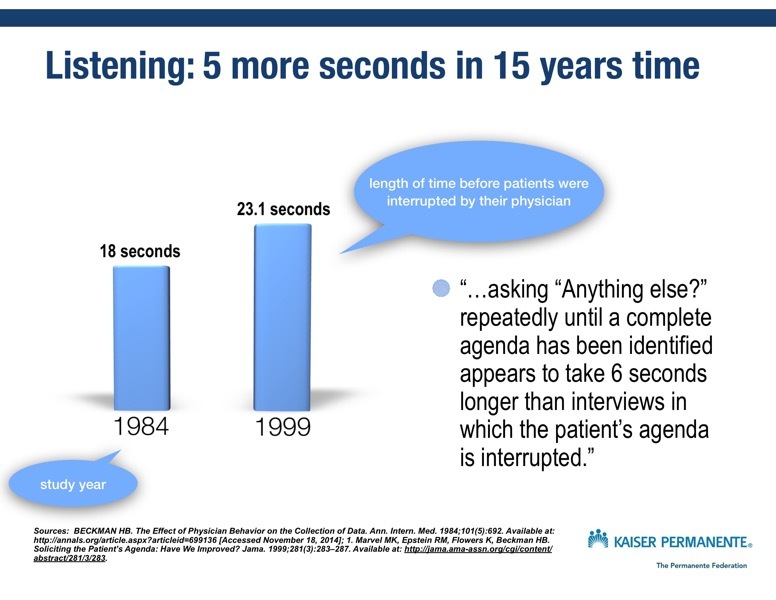 Interestingly, it was found that if physicians just listened for 6 seconds longer, by repeatedly asking “Anything else?” or “Tell me more?” they were able to know what the patient was concerned about. 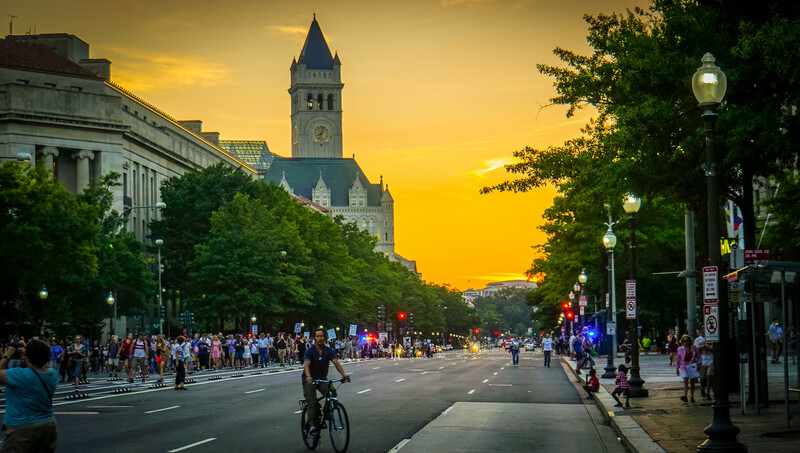 The opposite of this is not knowing up front, and the consequences of that – the door handle conversation, the “late concern,” the problem unexplored, and a less efficient encounter, and sometimes devastating health experience. One interesting correlation is that physicians with fellowship training (training after residency) were more likely to exhibit listening behavior than those who didn’t have the training. These were all family medicine specialists so there’s no comparison of other specialties in this study. This fits with what I have mentioned before in the world of listening, reducing conscious and unconscious bias, being there for the people we serve in and out of the exam room. The good news is it’s easy to move away from a “Yes I know what you’re asking for,” culture to a “tell me more” culture. I know because I do it all the time – “say more.” My colleague Danielle Cass (@DanielleCass) also taught me this one – “Go on..” Try replacing this response with the one you normally use and see what happens (and let me know what happens – magical!). Listening is the hugest innovation in health in the decade of the patient.